Lethbridge First Aid is the only training service provider that offer quality first aid certification for very affordable rates. 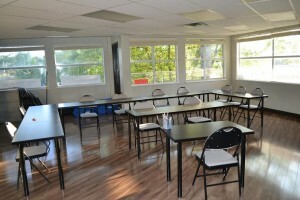 Students are offered classes throughout the week, with more popular classes available during the evenings and weekends. Rates are the lowest in the area without compromising the quality of the classes. Other training service providers just can’t compare. Standard first aid training covers a comprehensive list of classes, lasting 14-16 hours. Topics such as emergency medical services (EMS), wound care, a variety of different injuries, and cardiopulmonary resuscitation (CPR) and automated external defibrillation (AED) are covered in the first aid classes. AEDs are machines that are attached to the chest with pads and supply the heart with needed shock. Stand-alone classes for CPR/AED are also available to trainees who do not want to enrol in the full training course. Stand-alone classes for CPR are available in three levels (A, C, and HCP), lasting four, five, and six hours respectively. Certificate cards are awarded to all students who are able to complete a program. To pass, a student is required to have complete attendance, at least 75 percent on the written exam, and good skill demonstration. Wall-mount certificates can be requested. Certificates are valid for three years and can be renewed through recertification programs. Standard first aid and CPR recertification is 8 hours long, inclusive of CPR level C or HCP recertifcation. Lethbridge First Aid also offers instructors for private training in the comfort of your own home. You can also book them for training for a company event such as a conference. Just send an e-mail or give a call to inquire about booking private training sessions. 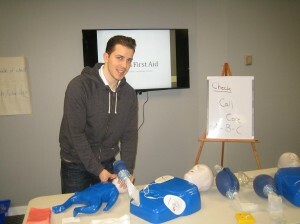 No other training service provider in Lethbridge, Alberta offers cheaper rates than Lethbridge First Aid. Rates are paid in full during enrolment so trainees don’t have to worry about additional expenses. Rates include taxes, certification fees, and workplace approved training manuals. Students are entitled to full refunds should they drop out, provided a 72-hour notice was done beforehand. Enrolment is easily completed through the registration form on the Lethbridge First Aid website or via e-mail or telephone call. Walk-ins during business hours are also highly encouraged to sign up for a training program. If any of these are felt or observed in another person, get medical attention immediately.